The Wheaton Academy Board of Trustees announced Tuesday, June 5th that Steve Bult has been appointed the 39th Head of School. The Board has been planning for a smooth succession of leadership for the past two years. Steve’s appointment makes it possible for Gene Frost to retire from his role as Head of School and become the Executive Director of the Wheaton Academy Foundation. 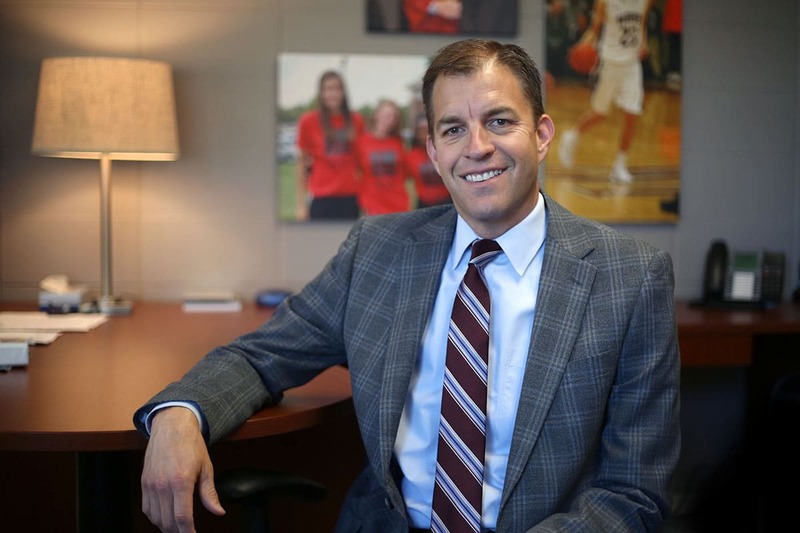 Growing leadership from within the school is an established best practice for private/Christian schools and Wheaton Academy has been fortunate to have a strong leadership team headed by Steve Bult. Steve is a product of Christian education, having attended Holland Christian Schools in Holland, MI, from grade school through high school. He earned his BA at Calvin College and received his MA in Educational Leadership from Governors State University. Steve built a strong ‘learning community’ that requires faculty teamwork and collaboration focused on student learning. He was also the architect of our Living Curriculum Teacher Development Model™ that allows us to pay our teachers based on performance rather than an arbitrary step scale. This innovation is almost unheard of in education. He has also pioneered many other innovations and has become a leader in Christian schooling. I am enthusiastically in support of appointing Steve to this new role. Steve will officially begin his new role on August 1, 2018. Wheaton Academy is confident God will work in and through Steve in his new role to advance Wheaton Academy’s mission of nurturing growth in students through relationships, excellence, and service all to the glory of God.